1.Flexible Design makes it can be fixed on wall and tree anywhere, also stick anywhere outdoor by the ground stake. 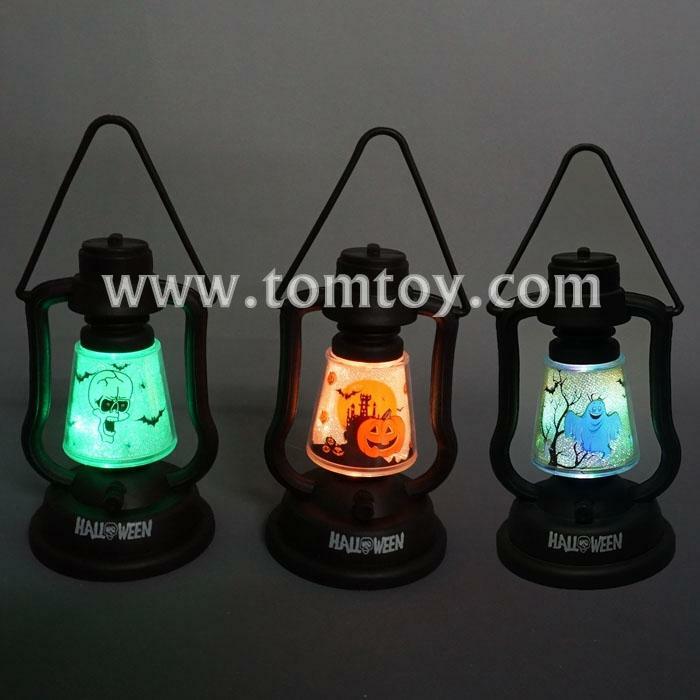 2.Perfect for your Halloween decoration, this lamp will have you lighting up the night. 3.Turn left,light on.Turn right,it make a ghost sound. 4.There are three patterns assorted:Pumpkin,Skull,Ghost. 5.Three pieces AG13 included and installed.